Livinia Blogger Template is an fantastic, responsive blogger templates designed to make your blogging experience as simple and seamless as possible. 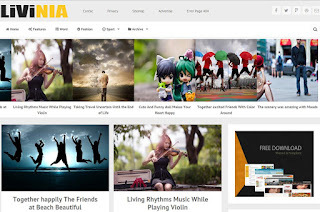 Enjoy Livinia free blogger templates and its popular features. Hello Admin, Thanks for share it. I like this template after download it i'am using it is looking very nice on my blog. Thanks Again.